It’s been a busy few weeks at Reef To Rainforest headquarters in Vermont; the marine aquarium trade is facing a growing threat to its existence as we know it as a result of new Endangered Species Act (ESA) rulings listing 20 Corals as Threatened under the ESA. The situation is even more grim with ongoing investigations into proposals to list commonly commercially-bred species like the Percula Clownfish and Banggai Cardinalfish as endangered species. In most (but not all) cases, the aquarium trade is not the main “cause” or the problem being highlighted or blamed, but regardless, it will be collateral damage. I raise this issues here as a potential first warning to freshwater hobbyists – our friends in the herp hobby (reptiles and amphibians) are no strangers to legislative and legal pressures against their hobby, with organizations like the United States Association of Reptile Keepers (USARK) out in front, and strong individual and commercial support channeling funds and money into battling legal issues that negative impact the herp hobby (via the USARK Reptile Defense Fund). But this is relatively new territory for aquarists who for the most part are mainly only faced with local restrictions targeting invasive, or potentially invasive, species. It’s fair to say that by and large, these local aquatic restrictions make sense aren’t overreaching (so far), so there’s generally little reason to fight them. However, just because the freshwater trade seems to have dodged the ESA bullet for the past couple decades, doesn’t mean that couldn’t change in an instant. 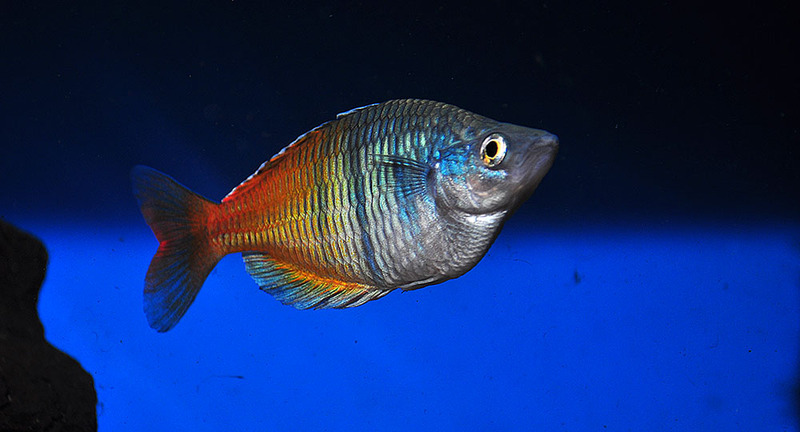 What would the freshwater hobby do should the White Cloud Mountain Minnow, or Boesemani Rainbowfish, suddenly be listed as “endangered”? All it would take is for someone to bring a bit of data forward and submit the petition to do so, and NOAA USFWS (for freshwater fish) must review it and seriously consider it. We must point out to our our readers that the ESA, as currently structured, doesn’t really allow for the commercial propagation, or private ownership, of endangered species. There isn’t really any grandfathering either. Starting today, it’s time for all aquarists, freshwater or saltwater, to open a conversation about current and future, direct and indirect, legal threats to the hobby we value. Many aquarists don’t want to be bothered with “downer” news, but it’s time for a sobering wake-up call. You may one day not call yourself an aquarist if you don’t take it upon yourself to become educated and involved in the legal pressures and threats to the hobby and industry. As thinking aquarists we need to quickly get up to speed on this; I look to USARK as a prime example of what needs to happen, and point to that organization as a blueprint for how things should be organized for aquarists. We also need to stop thinking of ourselves as “freshwater” or “saltwater” aquarists – we’re all aquarium keepers. This should also serve as one more strong alarm for everyone in the aquarium industry—at some point it’s not just about livestock; it’s about all the industries that provide the equipment, the feeds, the gear. Currently, the marine aquarium world is abuzz with references to PIJAC, the Pet Industry Joint Advisory Council, with calls for funding to the Marine Ornamental Defense Fund being made. All aquarists need to be aware of these efforts and ask themselves what their hobby and passion is worth to them. Burying ourselves in the sand like a Scooter Blenny or Spiny Eel isn’t going to make the problem go away, and it’s going to require more organization, and more unity, if we hope to take any real meaningful stand against the ever-increasing threats coming towards the aquarium pastime in general. Good article aside from the inaccurate claim that the aquarium trade is not to blame in most cases dealing with ornamental fish. The fact is that the aquarium trade is to blame for a lot more than it likes to acknowledge, but not all of tye problems are due to the aquarium trade. I wrote an article which touches on some of these subjects that you might enjoy. Respectfully I’ll stand by my choice of wording as written – the CBD petitions to list 80+ corals (which resulted in the 20 being added as threatened), the Aquarium Trade was not the culprit or cause for the threatened listing – climate change (ocean acidification, ocean warming) is what this is being pushed forward on. By the same token, the original 8 species listing for Pomacentridae, of which only A. percula has been tapped to further investigate, is a scenario by and large fueled by habitat loss (due to climate change) although absolutely true, the petitioner, CBD, asserts that the trade in wild Percula is a problem too (but make an allegation doesn’t equate to fact, truth, or guilt). The Banggai Cardinalfish is an entirely different story, but in the last two years massive changes have occurred. Therefore, I disagree that I have presented an “inaccurate claim”, as this view is derived from the publicly-available NOAA / NMFS documentation and opinions at hand. A recent documented example of the Aquarium Trade’s level of culpability, as determined by NOAA / NMFS- http://www.fisheries.noaa.gov/stories/2014/08/docs/final_coral_rule.pdf – where collection of coral for the aquarium trade has been officially deemed “(Low Threat, ESA Factor B)” which is the lowest ranked of all listed “threats” to coral species survival (all others being Factor A with higher importance / threat levels). Knowing that petitioners are using the ESA as a back-door mechanism to make our government deal with climate change is both rather ingenious, but also rather alarming. I may well in fact agree that on the one hand “endangered” status could be warranted for many of these species, but on the flipside, I also recognize that commercially produced livestock brings benefits to species preservation that are being overlooked, and that the ESA is an outdated law in need of some refinement for the modern age (we weren’t breeding fish and fragging coral in the early 1900’s when the ESA was introduced). As a fish hobbyist AND a Reptile and Amphibian commercial breeder, this should be more than a wake up call. Eric, what is important to point out is what it exactly means to a species when it gets listed under the ESA. This is way different than a CITES listing and more devastating to the hobby than listing a species as CITES Appendix I. What it means is that when a species is added to the ESA list, it can not even be traded WITHIN the USA. You can not ship an ESA species outside your state. Not even captive bred fry! In the Herp and Bird Hobby, it effectively made these species completely worthless, which destroys all incentive to captive breeding. The herp community has raised hundreds of thousands of dollars in just the last few years to fight exotic legislation on the national and local level. USARK is in the middle of a huge lawsuit with USFW that is funded by hobbyists and manufacturers donations. With my relatively recent return to the fish hobby, I was shocked to learn that there is no organization like USARK to represent the hobby. Don’t think they won’t come for you. It isn’t just getting species listed as endangered that we have to worry about. Invasive species listings are equally crippling to a species. If there is no group to make a stand, you could soon find all Barbs for example, listed as invasive species because they can survive brief periods of 50 degree temperature…. they could end up on the same list as Snakeheads…. This could crush the fresh water fish industry and lead to an end of the hobby. Many aquarium keeper keep C.A.R.E.S. program endangered fish. If we are no longer allowed to keep, trade, or sell these type fish many will go extinct. The hobbyist has become the last chance for many of these fish especially those from Lake Victoria. We must not let this happen. I am neither an aquatics or reptile expert, but after 30yrs in the pet industry, I think I have a very valid vantage point and some observations …. I am not going to come out for or against this or possible future legislation. My purpose in contributing is to point out several things we sometimes overlook. Often as not what appears as restrictive legislation causes some interesting side effects and not all of them are bad. I have three example to offer …. Back in the 80’s the push to ban imported birds created a panic for many in the industry. Ultimately the legislation passed and as a result, hand fed birds became a bit more expensive but ultimately make a more satisfying pet and are more profitable to sell. changing its collection methods, starting breeding programs and a gave birth to a thriving industry selling coral “frags”…as I understand it these are cultured not collected. and the last example is the restrictions and bans placed on large snakes …. very simply the result was an explosion of “designer” ball pythons. Each one of these example is a result of “catastrophic legislation”, that in todays light may not have been so catastrophic and in fact have proven to be profitable for those involved. Frankly I am proud to be part of an industry that responds and adapts to each of these situations and comes out stronger for it. The difference between the examples you give and the situation at hand is that the restrictions you point out were all restrictions against importing animals from out of the country. The effect from an ESA listing is much more severe as it will make any buying, selling, or keeping illegal, regardless of where it comes from or whether it is wild collected or captive bred. It’s not simply a matter of adapting and raising these animals differently. Arguably the more dire consequence of these ESA listings is that it is removing the very valuable conservation tool that hobbyists and the pet industry can be. There are already reef restoration projects being conducted by companies that pay their bills by selling cultured corals in the industry, whether wholesale to retailers or directly to hobbyists. Without this revenue stream, these companies likely will be unable to stay in business and these reef restoration projects will collapse. Similarly, sustainable collection operations bring much needed income to communities and provides a real economic incentive for these communities to protect their resources. Without his incentive, there is little stopping them from turning to more destructive means in order to survive. I call laurent and I’m French. I share my passion on several forums and the world for several years. Present in 40 forums in different language, I can say that our passion goes wrong. It is now five years since I speak of responsible aquaristic. It’s good to do a story on the crisis and the threat that weighs on our passion, but we should especially explain to people to be interested in the history of their fish. This is why we must promote responsible aquarist, set up an sharing of information to empower the aquarists. Show the truth about the habitats, it would be a start. I fear for our passion. The day a real organization decide to promote the movement of the RESPONSIBLE aquaristic, you wake me up my friends. The difference between the examples you give and the situation at hand is that the restrictions you point out were all restrictions against importing animals from out of the country. The effect from an ESA listing is much more severe as it will make any buying, selling, or keeping illegal, regardless of where it comes from or whether it is wild collected or captive bred. It's not simply a matter of adapting and raising these animals differently. Arguably the more dire consequence of these ESA listings is that it is removing the very valuable conservation tool that hobbyists and the pet industry can be. There are already reef restoration projects being conducted by companies that pay their bills by selling cultured corals in the industry, whether wholesale to retailers or directly to hobbyists. Without this revenue stream, these companies likely will be unable to stay in business and these reef restoration projects will collapse. Similarly, sustainable collection operations bring much needed income to communities and provides a real economic incentive for these communities to protect their resources. Without his incentive, there is little stopping them from turning to more destructive means in order to survive. I am neither an aquatics or reptile expert, but after 30yrs in the pet industry, I think I have a very valid vantage point and some observations .... I am not going to come out for or against this or possible future legislation. My purpose in contributing is to point out several things we sometimes overlook. Often as not what appears as restrictive legislation causes some interesting side effects and not all of them are bad. I have three example to offer .... Back in the 80's the push to ban imported birds created a panic for many in the industry. Ultimately the legislation passed and as a result, hand fed birds became a bit more expensive but ultimately make a more satisfying pet and are more profitable to sell. (the catastrophe of a diminishing rain forest is another argument entirely) When it became evident the the industry was in fact having a huge impact on the coral reefs and marine life, the industry responded by changing its collection methods, starting breeding programs and a gave birth to a thriving industry selling coral "frags"...as I understand it these are cultured not collected. and the last example is the restrictions and bans placed on large snakes .... very simply the result was an explosion of "designer" ball pythons. Each one of these example is a result of "catastrophic legislation", that in todays light may not have been so catastrophic and in fact have proven to be profitable for those involved. Frankly I am proud to be part of an industry that responds and adapts to each of these situations and comes out stronger for it. Respectfully I'll stand by my choice of wording as written - the CBD petitions to list 80+ corals (which resulted in the 20 being added as threatened), the Aquarium Trade was not the culprit or cause for the threatened listing - climate change (ocean acidification, ocean warming) is what this is being pushed forward on. By the same token, the original 8 species listing for Pomacentridae, of which only A. percula has been tapped to further investigate, is a scenario by and large fueled by habitat loss (due to climate change) although absolutely true, the petitioner, CBD, asserts that the trade in wild Percula is a problem too (but make an allegation doesn't equate to fact, truth, or guilt). The Banggai Cardinalfish is an entirely different story, but in the last two years massive changes have occurred. Therefore, I disagree that I have presented an "inaccurate claim", as this view is derived from the publicly-available NOAA / NMFS documentation and opinions at hand. A recent documented example of the Aquarium Trade's level of culpability, as determined by NOAA / NMFS- http://www.fisheries.noaa.gov/stories/2014/08/docs/final_coral_rule.pdf - where collection of coral for the aquarium trade has been officially deemed "(Low Threat, ESA Factor B)" which is the lowest ranked of all listed "threats" to coral species survival (all others being Factor A with higher importance / threat levels). Knowing that petitioners are using the ESA as a back-door mechanism to make our government deal with climate change is both rather ingenious, but also rather alarming. I may well in fact agree that on the one hand "endangered" status could be warranted for many of these species, but on the flipside, I also recognize that commercially produced livestock brings benefits to species preservation that are being overlooked, and that the ESA is an outdated law in need of some refinement for the modern age (we weren't breeding fish and fragging coral in the early 1900's when the ESA was introduced).